Don't miss out on all the action this spring break! Miami Beach is one of the top spring break destinations for college students seeking to get away from their routines and the drudgery of midterm exams. 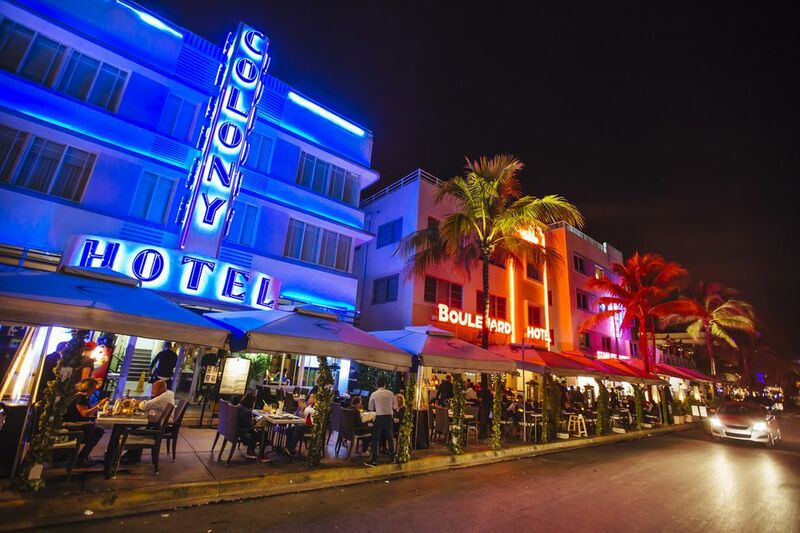 Every year, thousands of co-eds converge upon South Beach for a week of fun and excitement. Here’s a collection of our best resources designed specifically to help you have a blast on your Miami Beach spring break! First things first: you need to get to Miami! Miami International Airport (MIA) is the best airport to fly into when vacationing in Miami Beach. It’s one of the countries’ busiest hubs for international travel and is only a about a half an hour drive to the beach. Taxis and hotel shuttles are readily available near the baggage claim area. Miami’s MetroRail and MetroBus are available as well and don't forget about Lyft and Uber. Opt for a shared ride to save on your fare and spend that money elsewhere. Located at the epicenter of South Beach, Posh Hostel is the place for budget travelers. The offer free Wi-Fi, pool, complimentary nightly drinks, and free breakfast. The accommodations are dormitory style and there is a shared bathroom and kitchen. It’s a great place to meet people and at only about $40 a night it’s totally worth it! The Generator Hostel is new and noteworthy, as well, designed for the budget traveler, but also featuring a fantastic restaurant and bar with specialty cocktails and a chef-driven menu. Pool parties abound in Miami as well, so don’t leave before checking out some of the best. The Clevelander South Beach’s POOL + PATIO parties take place all day, every day, and offer a fun and relaxed vibe and reasonably priced food and drink. Weekends are the time to play in Miami, and the new Vegas-style HYDE SLS South Beach Hotel offers one of the best weekend pool parties around. Party all weekend long, starting Friday afternoon with the club’s resident DJ Danny Stern. Saturday brings champagne showers, guest DJs and endless bottle parades. If you’re still standing, cap it all off Sunday with a relaxing poolside mimosa. The real fun in Miami starts after sundown. The nightclubs of Miami Beach are a hot spot for Spring Break travelers and nightlife lovers alike. The iconic Mango’s, located in South Beach, is a showcase of international talent, cuisine, and entertainment. Mango’s is known for its engaging shows that include salsa dancing, Brazilian Samba, belly dancing, and Cuban Conga. Expect lots of action on the main dance floor after hours. If you’re more interested in fresh beats by world-renowned DJs, like Kaskade and Afrojack, and music by hit artists like Tyga, head to LIV at the Fountainbleu or STORY, right down the street on Collins Ave. Both clubs are owned by the same company, so you can expect a similar crowd and cutting edge experience at both spots. After a night at a Miami club, you’ll probably sleep in and miss the hotel breakfast. But that’s okay because everyone knows brunch is the best meal of the day, anyway. Breakfast is served 24/7 at the iconic News Café located in the Art Deco district, so there’s no need to rush. Of course, no trip to Miami Beach would be complete without indulging in a classic Cuban breakfast. Las Olas Café Miami Beach is a must to get your café con leche with a side of tostadas fix. For a more upscale Miami brunch try South Beach’s Juvia. This rooftop restaurant serves bottomless brunch from 11am-3pm daily. Miami is a fantastic place to spend spring break. The hot sun, pulsing nightclubs and lively atmosphere make it a phenomenal location for young adults from around the country and the world to let loose and enjoy some time away from the books. Be sure not to limit your time in Miami to the beaches and bars. The city has so much more to offer​, from a wonderful restaurant scene to a vibrant art community and some of the best shopping in the United States! People from around Latin America routinely fly into Miami with empty suitcases and the sole purpose of filling them with luxury items at Miami's many shopping malls before heading home.